Only twelve days left until Christmas eve. I am finally done with all my shopping, and am ready to start wrapping gifts. Now that I’m done with my list, I wanted to share a few gift guides with you to help you finish your shopping too. 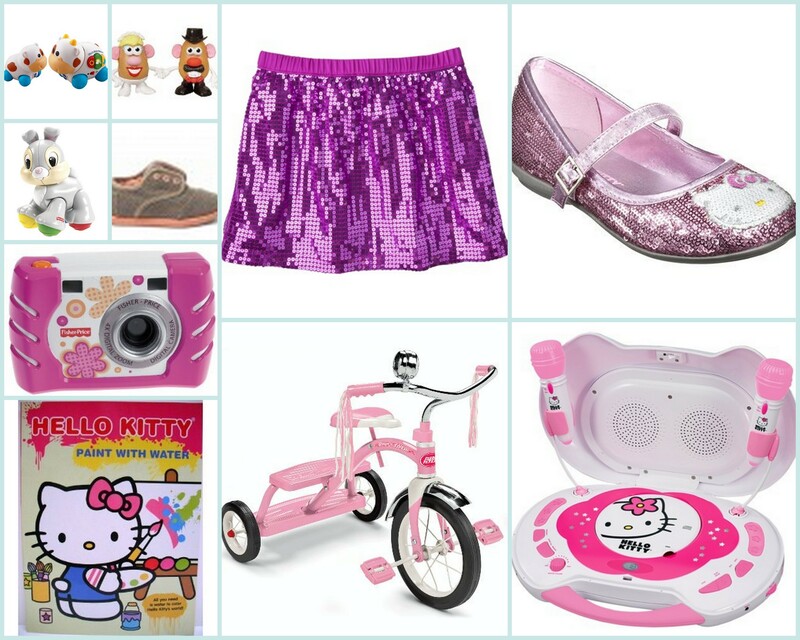 Here’s a short list of items you may want to buy for the little ones in your life who bring you so much joy. Many of these items were hand-picked (i.e. pointed out and/or admired) by my own sweet peas during one or more of our [all too frequent] trips to Target. I think it’s adorable that whenever my girls spot Hello Kitty [or ‘Kitty Kat’ as they call her] or something sparkly, it always catches their attention!